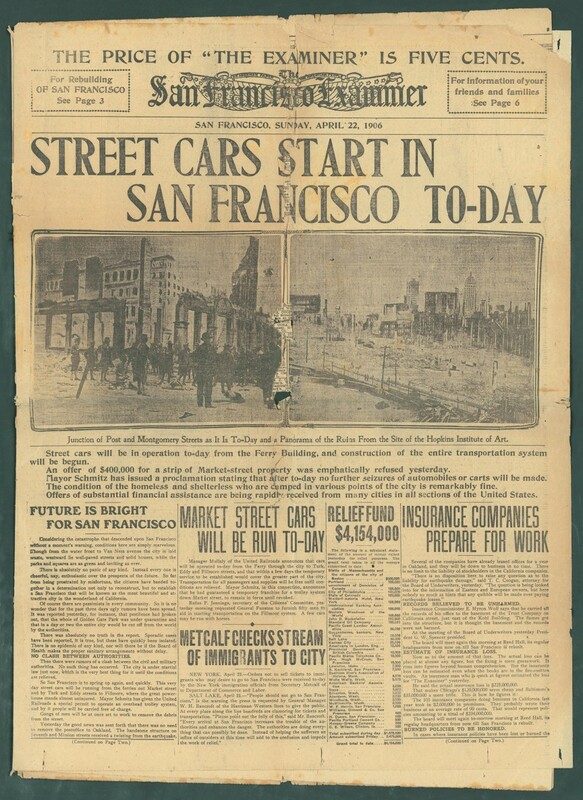 At 5.12 am on 18 April 1906, the violent rumble of an earthquake shattered the slumbering city of San Francisco. Registering up to 7.9 on the Richter Scale, the earthquake lasted for approximately 60 seconds. Houses collapsed, streets disintegrated, and water and gas mains burst. Fires broke out immediately in many parts of the city, burning out of control because of severed water mains. The fire brigades and the army detonated whole blocks of buildings in order to create fire breaks in an attempt to halt the conflagration. It was three days before the fire could be brought under control. Around 25,000 houses in an area measuring 12 square kilometres were destroyed and at least 500 lives were lost (estimates put the figure at up to 3,000). Around a quarter of a million people were made homeless. 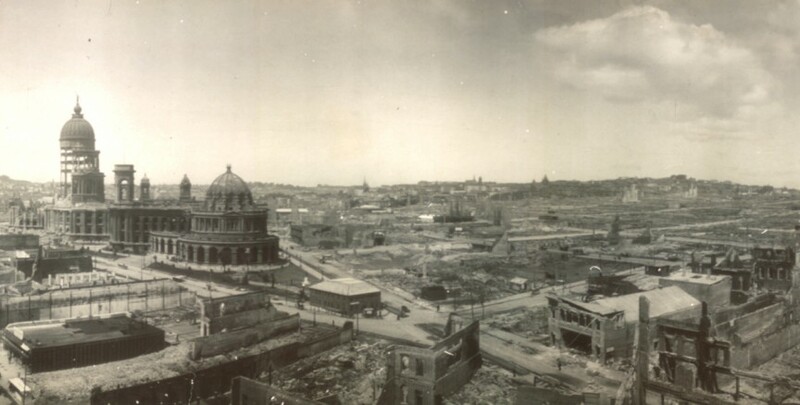 Estimates put the economic damage caused by the earthquake at some USD 400 m.
In his eyewitness report, author Jack London wrote: "Not in history has a modern imperial city been so completely destroyed. San Francisco is gone. Nothing remains of it but memories and a fringe of dwelling-houses on its outskirts. Its industrial section is wiped out. Its business section is wiped out. It social and residential section is wiped out. The factories and warehouses, the great stores and newspaper buildings, the hotels and palaces of the nabobs, are all gone. "Within an hour after the earthquake shock, the smoke of San Francisco's burning was a lurid tower visible a hundred miles away. And for three days and nights this lurid tower swayed in the sky, reddening the sun, darkening the day, and filling the land with smoke. "There was no opposing the flames. There was no organization, no communication. 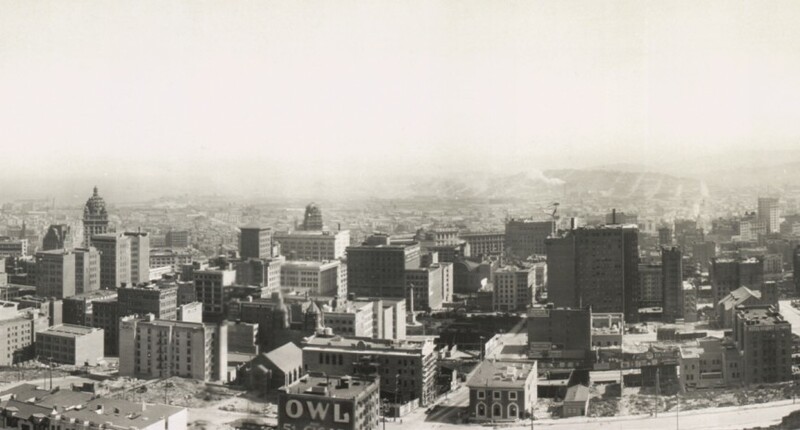 "All the cunning adjustments of a 20th century city had been smashed by the earthquake. The streets were humped into ridges and depressions, and piled with the debris of fallen walls."